INCREDIBLE VALUE FOR THIS CHARMING SINGLE FAMILY HOME IN LAKE VIEW'S BLAINE SCHOOL DISTRICT. QUIET CUL-DE-SAC LOCATION TUCKED NEATLY IN THE HEART OF WRIGLEYVILLE. INVITING INTERIOR WELCOMES YOU WITH PRESERVED VINTAGE DETAILS AND MODERN UPDATES INCLUDING A FARM-HOUSE KITCHEN WITH STAINLESS STEEL APPLIANCES, CUSTOM MARBLE BACKSPLASH AND CHOPPING BLOCK COUNTERTOPS. POWDER ROOM AND BONUS SUN ROOM OFF THE KITCHEN. NICELY UPDATED BATHS AND ABUNDANT NATURAL LIGHT AS ILLUSTRATED. HARDWOOD FLOORS THROUGHOUT WITH FINISHED BASEMENT AND OPTIONAL FOURTH BEDROOM. GRACIOUS FLOWING FLOOR PLAN WITH TWO OUTDOOR DECKS AND LANDSCAPED FRONT YARD. SEPARATE LAUNDRY ROOM WITH SIDE-BY-SIDE WASHER AND DRYER. 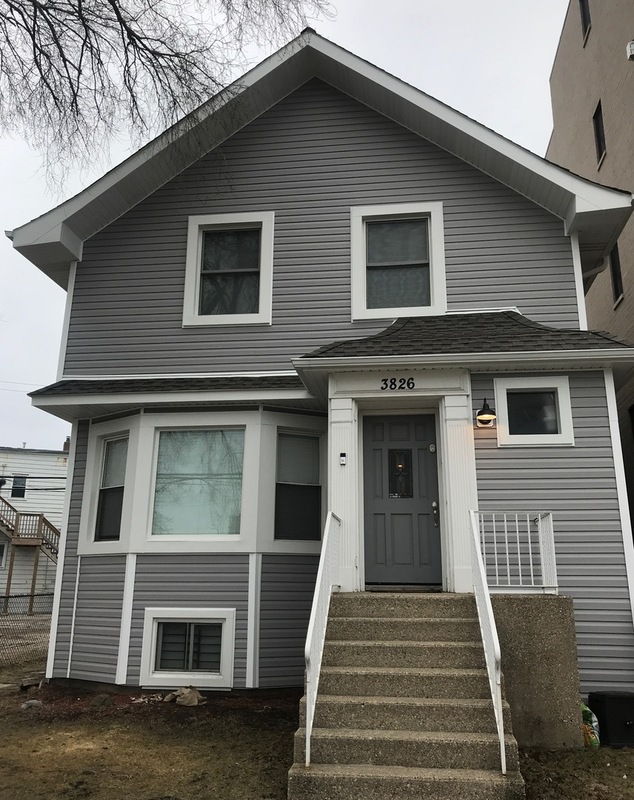 ALL NEW SIDING AND INSULATION COMPLETED IN 2018 - UPDATED IMAGES SHOWN. 4 EXTERIOR PARKING SPOTS IN REAR ALLOW FOR ADD-VALUE INCOME ON CUBS GAMES. WALK TO GREAT RESTAURANTS, SOUTHPORT, PARKS, PUBLIC TRANSPORTATION AND OF COURSE WRIGLEY FIELD. Property information last modified by seller on Tuesday, April 16, 2019, 04:01 PM CDT. Information Deemed Reliable But Not Guaranteed. Unauthorized duplication, use, or linkage is prohibited. The information on this web site is for personal, non-commercial use and may not be used for any purpose other than to identify prospective properties consumers may be interested in purchasing. Monthly Payment Calculator results are for illustrative purposes only, not a financing opportunity; calculations assume a 30-year fixed-rate mortgage and do not include closing and other costs. Property Tax on NEW properties is estimated at 1.5% of Listing Price for payment calculation purposes; actual value may be higher or lower.